Ari Brand, Matthew James Thomas, Derek Klena, Ethan Slater, and Noah Weisberg in Delaware Theatre Company’s production of DINER. Photo by Matt Urban, Mobius New Media. 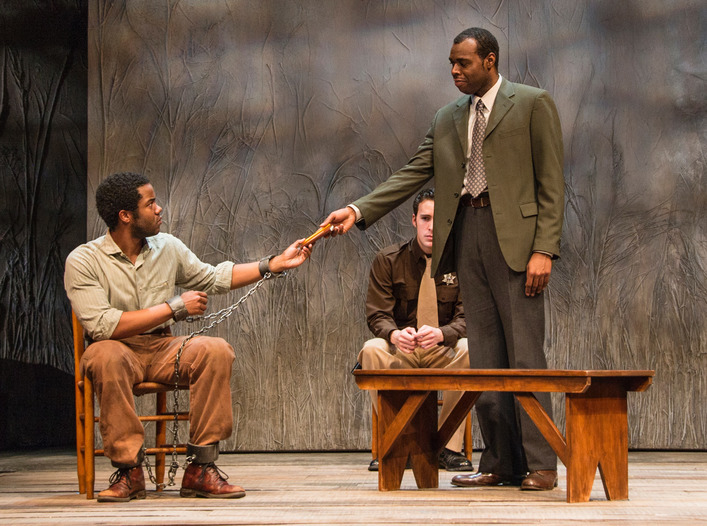 Carl Lumbly, Lakin Valdez, and Samuel Ray Gates in American Conservatory Theatre’s production of BETWEEN RIVERSIDE AND CRAZY, BY Adly Guirgis. Photo by Kevin Berne. The cast of Berkeley Repertory Theatre's production of IT CAN'T HAPPEN HERE. Photo By Kevin Berne. LORT has collective bargaining agreements with Actors' Equity Association, the Society of Stage Directors & Choreographers, and United Scenic Artists.